Explain why data classification should be done and what benefits it should bring. The purpose of this policy is to establish a framework for classifying data based on its sensitivity, value and criticality to the organization, so sensitive corporate and customer data can be secured appropriately. Define the types of data that must be classified and specify who is responsible for proper data classification, protection and handling. This policy applies to any form of data, including paper documents and digital data stored on any type of media. It applies to all of the organization’s employees, as well as to third-party agents authorized to access the data. Describe the roles and responsibilities associated with the data classification effort. Departments should designate individuals who will be responsible for carrying out the duties associated with each of the roles. Data user — Person, organization or entity that interacts with, accesses, uses or updates data for the purpose of performing a task authorized by the data owner. Data users must use data in a manner consistent with the purpose intended, and comply with this policy and all policies applicable to data use. Describe each data classification procedure step by step. Detail who performs each step, how data is assessed for sensitivity, what to do when data doesn’t fit an established category and so on. If it does not match any of the predefined types in Appendix A, the data owner should determine its information type and impact levels based on the guidance provided in Sections 5 and 6 of this document, and NIST 800-600 Volume 2. The highest of the three impact levels is the overall impact level. If the information type and overall impact level still cannot be determined, the data owner must work with the data custodians to resolve the question. 3. The data owner records the classification label and overall impact level for each piece of data in the official data classification table, either in a database or on paper. 4. Data custodians apply appropriate security controls to protect each piece of data according to the classification label and overall impact level recorded in the official data classification table. 1. Data owners review and assign each piece of data they own an information type based on the categories in NIST 800-600 Volume 1. 2. Data owners assign each piece of data a potential impact level for each of the security objectives (confidentiality, integrity, availability), using the guide in Section 6 of this document. The highest of the three is the overall impact level. 4. Data owners record the impact level and classification label for each piece of data in the data classification table. 5. Data custodians apply information security controls to each piece of data according to its classification label and overall impact level. Create a table that describes each type of information asset the agency stores, details the impact of each of the three security objectives, and specifies the impact levels and classification to be assigned to each type of asset. Use this table to determine the overall impact level and classification label for many information assets commonly used in the organization. Federal budget planning documents state the potential expenses for the following year. They include data about partners and suppliers, as well as analytical and research data. Funds Control Funds Control documents include information about the management of the federal budget process, including the development of plans and programs, budgets, and performance outputs, as well as information about financing federal programs and operations through appropriation and apportionment of direct and reimbursable spending authority, fund transfers, investments and other mechanisms. Impact Description Unauthorized disclosure of funds control information (particularly budget allocations for specific programs or program elements) can be seriously detrimental to government interests in procurement processes. In many instances, such unauthorized disclosure is prohibited by executive order or by law. Premature release of drafts of funds control information can yield advantages to competing interests and seriously endanger agency operations or even agency mission. Funds control activities are not generally time-critical. An accumulation of small changes to data or deletion of small entries can result in budget shortfalls or cases of excessive obligations or disbursements. Funds control processes are generally tolerant of delay. Typically, disruption of access to funds control information can be expected to have only a limited adverse effect on agency operations, agency assets or individuals. Provide a table that will help data owners determine the impact level for each piece of data by describing the security objectives you want to achieve and how failure to attain each objective would impact the organization. 5 and NIST 800-600 Volume 2. Restrict access to and disclosure of data to authorized users in order to protect personal privacy and secure proprietary information. Unauthorized disclosure of the information is expected to have limited adverse effects on operations, organizational assets, or individuals. Unauthorized disclosure of the information is expected to have a serious adverse effect on operations, organizational assets, or individuals. Unauthorized disclosure of the information is expected to have a severe or catastrophic adverse effect on operations, organizational assets, or individuals. Guard against improper modification or destruction of data, which includes ensuring information nonrepudiation and authenticity. Unauthorized modification or destruction of the information is expected to have a limited adverse effect on operations, assets, or individuals. Unauthorized modification or destruction of the information is expected to have a serious adverse effect on operations, assets, or individuals. Unauthorized modification or destruction of the information is expected to have a severe or catastrophic adverse effect on operations, assets, or individuals. Ensure timely and reliable access to and use of information. Disruption of access to or use of the information or information system is expected to have a limited adverse effect on operations, assets, or individuals. Disruption of access to or use of the information or information system is expected to have a serious adverse effect on operations, assets, or individuals. Disruption of access to or use of the information or information system is expected to have a severe or catastrophic adverse effect on operations, assets, or individuals. 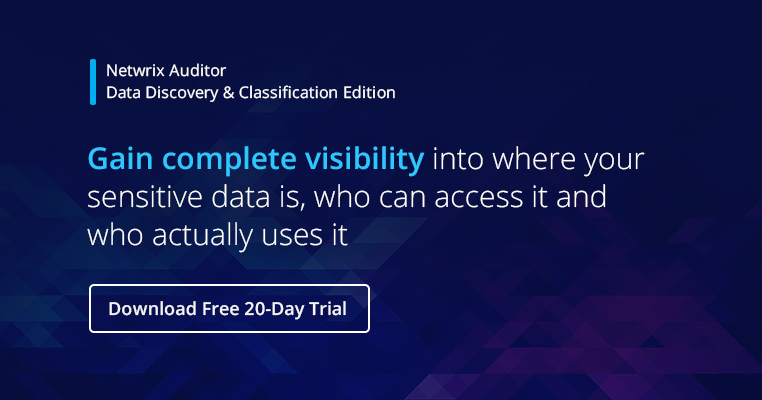 Describe the types of information that should automatically be classified as “Restricted” and assigned an impact level of “High.” Having this list will make the data classification process easier for data owners. ePHI is defined as any protected health information (PHI) that is stored in or transmitted by electronic media. Electronic media includes computer hard drives as well as removable or transportable media, such as a magnetic tape or disk, optical disk, or digital memory card. Transmission is the movement or exchange of information in electronic form. Transmission media includes the internet, an extranet, leased lines, dial-up lines, private networks, and the physical movement of removable or transportable electronic storage media. Be sure to track all changes to your data classification policy.